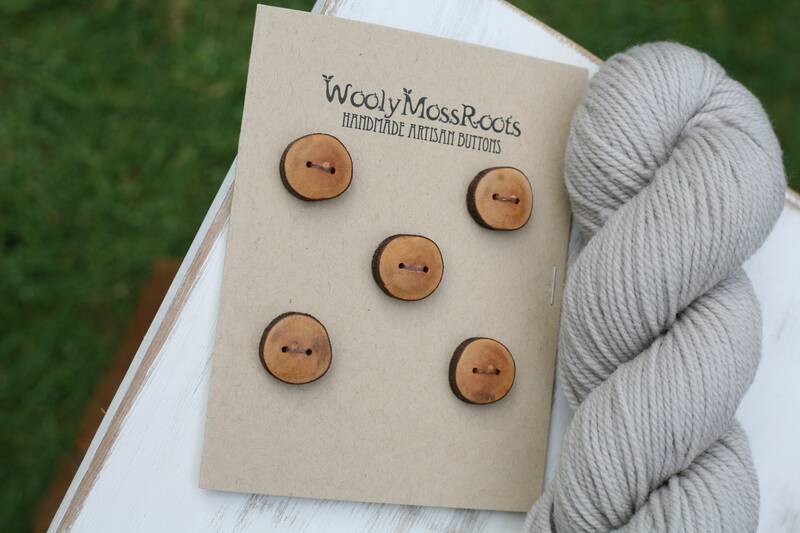 *These are a new line of "rustic" buttons we're offering that are not sanded on as many grits as our buttons normally are (yet still sanded on quite a few grits beyond most handmade wood buttons out there), so that we can offer them more affordably to you. A great deal! 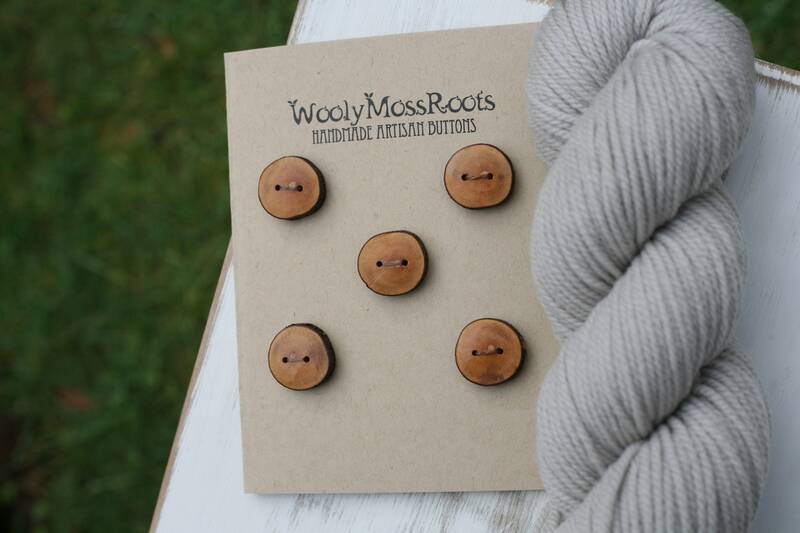 These handmade wooden buttons were created by my husband Jeff in Oregon rhododendron wood. 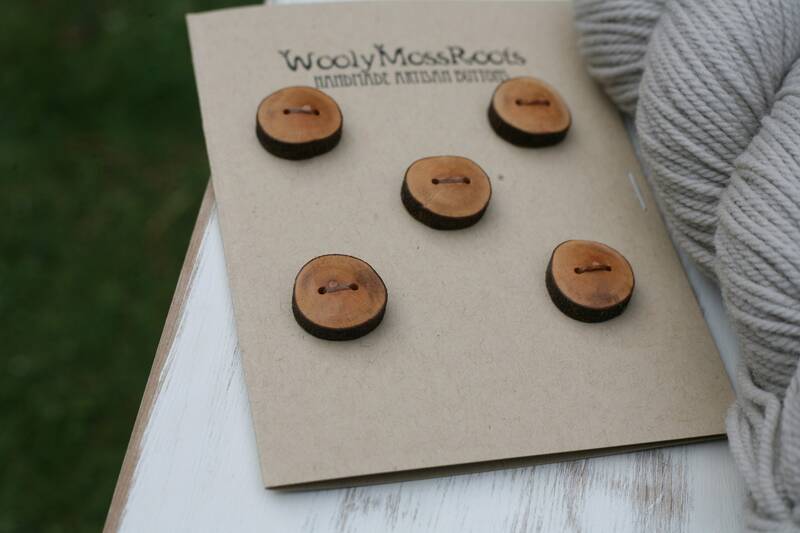 Straight from the woods- I like the warm hue and the natural bark around the edges. 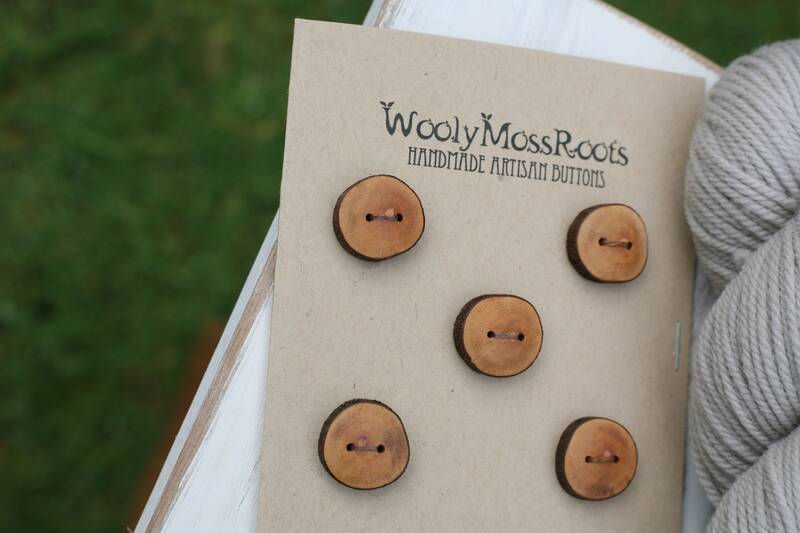 Sanded smooth, you'll love the way they feel. 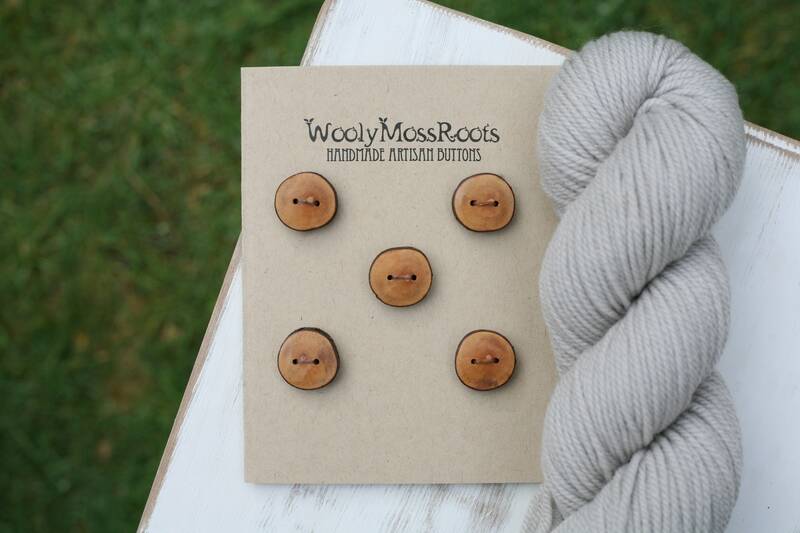 Pictured with grey yarn, these buttons would go well with many different colors. Ready for your creative project!